This is really where the story breaks open in the west and a “Pythagorean” diet re-enters the popular consciousness for the first time since antiquity. Frustratingly, I had to leave out a lot, such as how Thomas Tryon follows the mystic Jakob Boehme (quite a lot of early vegetarians are mystics) . In particular, George Cheyne has a very specific theory of how the nervous system works, based on the physical laws of Newton. But I can’t go into detail on all the theories that have fallen and risen as “natural history” stumbles towards a useful understanding of the body. The monument to Roger Crab is still in St. Dunstan’s, Stepney, London, though unfortunately I haven’t been able to locate it. As I live near there, it would be nice to pay our vegan predecessor some respects. The broadcast of this episode was on 6 Dec 2016. The podcast release was severely delayed. Rather than date this page with the broadcast date (as usual) I’m dating it to the January broadcast slot that was superseded by Resonance FM’s holiday schedules. Content (whether books, journal articles, or programmes) tends to be identified by its publication year, and so I thought it particularly important that that stays accurate. The period music was Greensleeves performed by Paul Arden-Taylor and Carol Holt (PD); slow reels (dances) “Long Acre” and “Kerry Fling” performed by the “Peak Fiddler”; Papalin’s performance on recorders of Henry Purcell’s Sonata in D Major (CC-BY) to again evoke turn-of-the-century London, and Telemann’s performance of Händel’s recorder Sonata. With the voices of Jeremy Hancock, Ian Russell, and Brian Roberts. Nimi Hirani gave me enormous help and assistance in Ahmedabad, and in India in general. 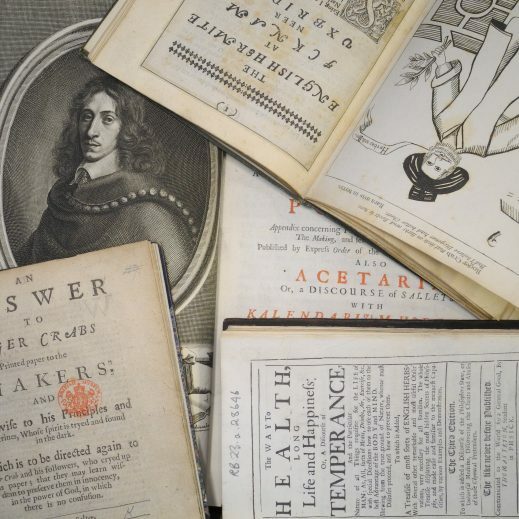 The cover picture (by me) is some of the books in the readings: “Acetaria” (Evelyn) , “The English Hermit” (Crab), a pamphlet attacking Crab, and “Guide to Health, Long Life and Happiness” by George Cheyne.